What happens when the past shackles you from moving into the future? 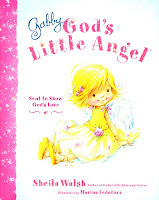 Can a person's devotion to faith and family become distorted and even un-Biblical at times? These are just two of the questions Julie Lessman explores in the second book of her Winds of Change series. 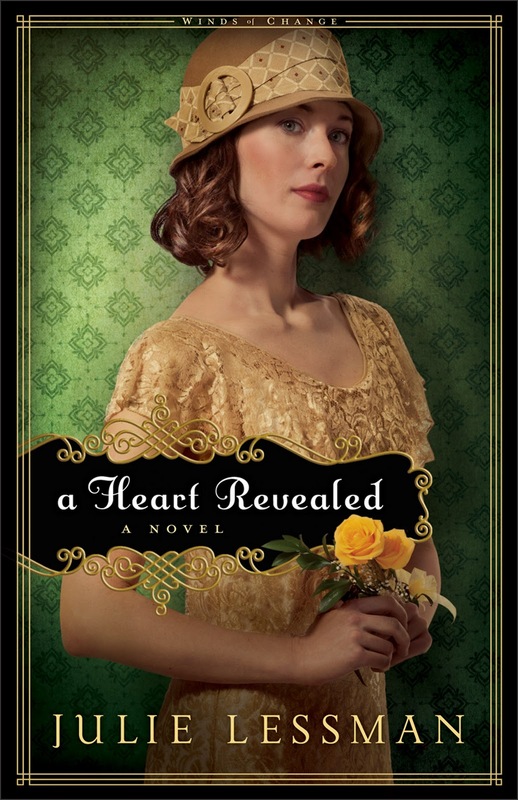 In A Heart Revealed, Lessman unpacks the story of Emma Malloy, who fled Dublin for Boston - from her abusive husband and more. Emma's life carries a lot of shame and agony. When she starts to fall for Sean O'Connor, her past threatens to stop the future before it even begins. Lessman has an interesting writing style. She manages to create a strong stand-alone novel, that is still linked to the previous four novels. The lives of each character, big or small, are unpacked a bit more. Through the interaction with the main characters - Sean and Emma - we learn more about everyone else, and see how the friendships and kinships shape all of their lives. It's truly a "snapshot" of life in Boston in the 20s/30s. If you like this time period, then this novel is definitely for you! 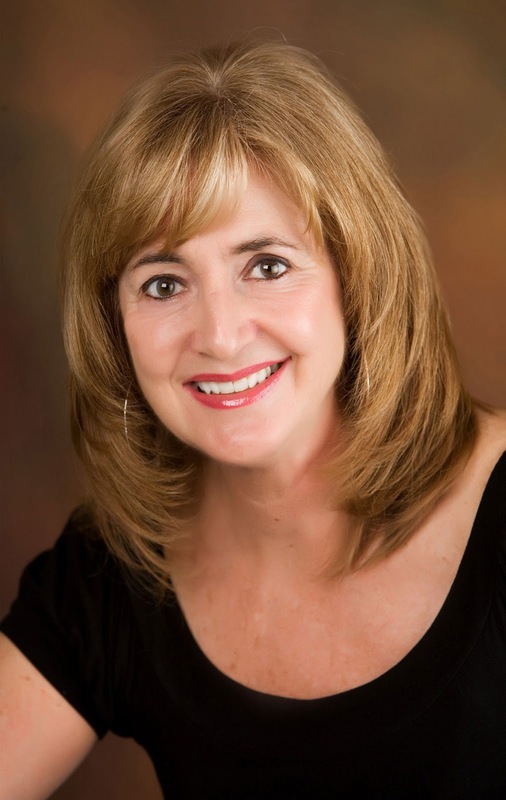 Julie Lessman is the popular author of A Passion Most Pure, A Passion Redeemed, and A Passion Denied, as well as A Hope Undaunted, which was one of 2010's Booklist Top Ten Inspirational Fiction winners. 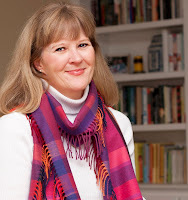 Lessman has garnered several writing awards, including ten Romance Writers of America awards. She lives in Missouri. Learn more about the entire series (and the pre-series, Daughters of Boston) here. What happens when the world of two women, one Amish, the other English, collide during a Christmas snow storm? Can the two women, searching for different things find the answers they need, all while building a relationship together? 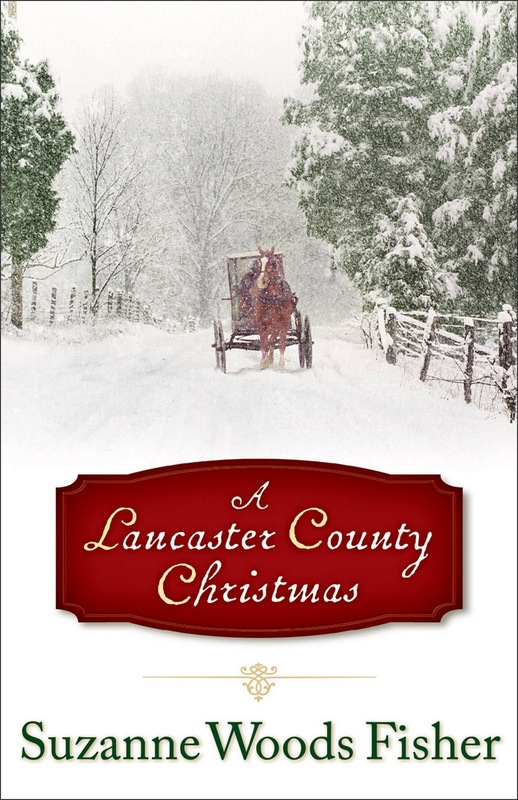 These are but a few of the questions that swirl around the small, but packed Christmas novel - Lancaster County Christmas - by Suzanne Woods Fisher. This is the first Christmas novel for Fisher, who writes Amish fiction drawing on her family background (her grandfather was raised in the Old Order German Baptist Brethren Church). The novel, simple on the outside, is complex in its layers. 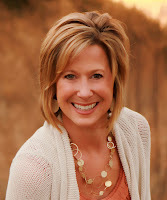 Mattie and her husband (characters from previous Lancaster County novels), desperately want to have another baby - but life and health seem to be conspiring against her. Jaime wants to fill the void left after her mother's death - and is trying to figure out if that void can be filled while staying married to her husband. Truly, through the story, both couples are striving to find out if they can weather - not only the snow storm blowing outside, but the storms brewing in their marriages. Fisher has captured the magic of Christmas - and the simplicity of being with people you love during the holiday season. 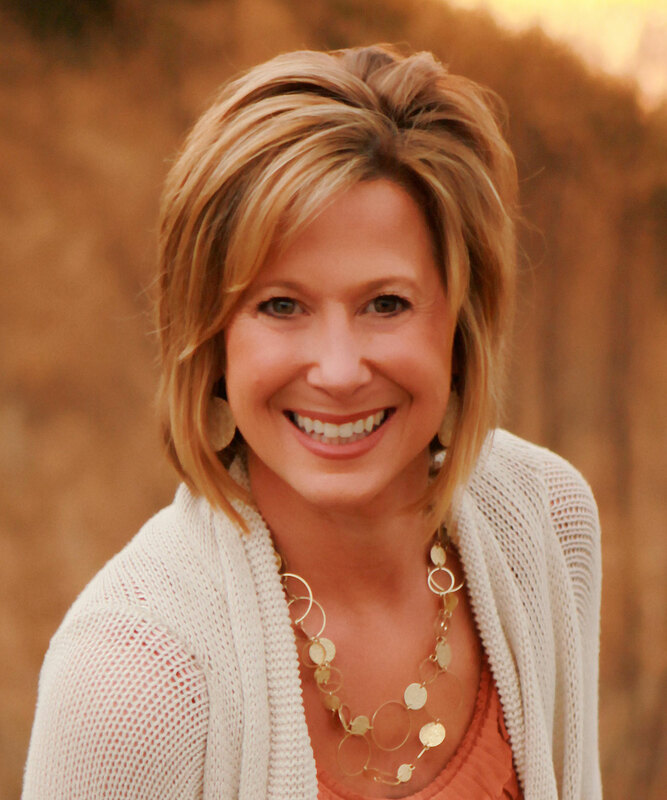 Find out more about Suzanne on her website! It's another contest opportunity, open to blog readers! As a freelance book reviewer, I was provided the following information with only the same chances that the average reader has, of winning these amazing prizes. To celebrate the release of her first Christmas book, Suzanne Woods Fisher has teamed up with her publisher, Revell, to bring you the "Christmas in September" iPad Giveaway! The winner will be announced on 9/27 at the A Lancaster County Christmas Facebook Party! Details below. Tell your friends and join in the fun (9/7-9/27). ... and a KINDLE from Rosslyn Elliott! To celebrate the release of her debut novel, Fairer Than Morning , Rosslyn Elliott is giving away two fabulous prize packages. The first is brand new KINDLE in her Fairer Than Morning Kindle Giveaway. Then on September 20 she's giving away a $200 gift certificate toward a Custom-Made Historical Reproduction Dress (from Recollections) during the Fairer Than Morning Book Club Chat Party on Facebook! Sigh...romantic. 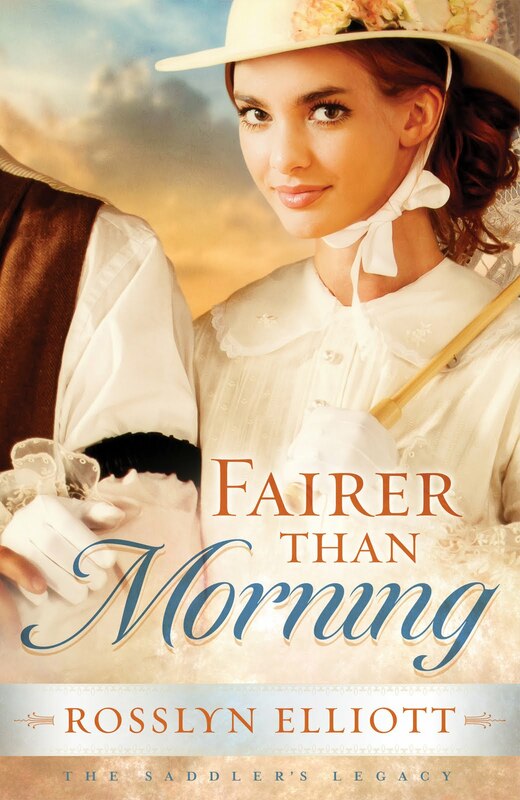 Fairer Than Morning is receiving wonderful reviews - Library Journal said, "A well- written historical series debut…". Read more reviews here. 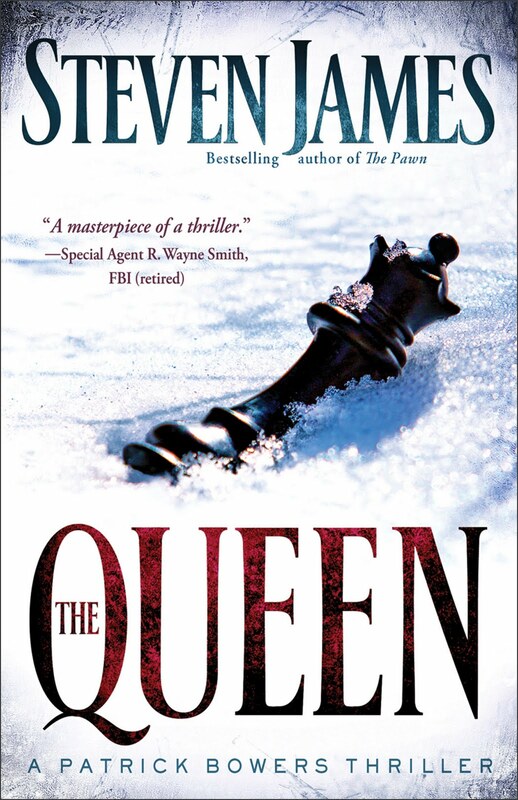 A multilayered, techno-thriller - Steven James has crafted a page-turner with his newest book, The Queen. The fifth in the Patrick Bowers series, The Queen continues the story of Bowers, his stepdaughter Tessa, and a host of other characters. While it is piece in James' bigger literary puzzle, The Queen can be read as a stand-alone novel, because the primary case (or plot) of the book centers around a series of murders and events in a small Wisconsin forest. Graphic at times (but truly nothing that you won't see on CSI or Criminal Minds, or read in a James Patterson book), James fills his thriller with sub-plots of redemption, grace and real life situations. Bowers is not a "squeaky clean" main character. His flaws are there, for the world to see - along with his vulnerabilities and his attempt to live life not only as a FBI agent, but also as a Christian. 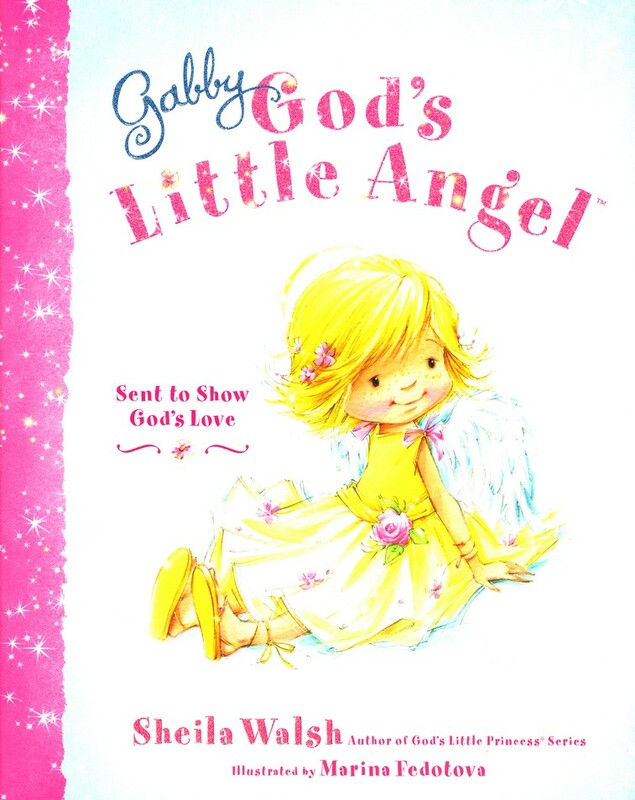 I found this book hard to put down. In fact, I read it over the course of less than three days. As a "late-comer" to the series, I would like to go back and read the first three books, just so I could understand the continuing storyline a bit more. 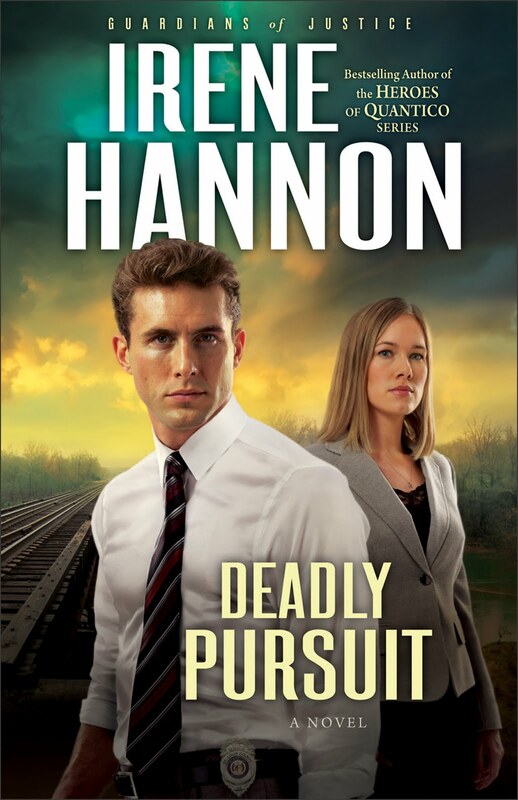 I believe this is a strong series, and definitely one that you could hand to someone who loves James Patterson, as an introduction to Christian fiction without fear. Judging from the last chapter, this series - and Bowers' tale - is not over. I look forward to the next installment, even though I know I'll be waiting a full year for its release. He has received wide critical acclaim for his work including four Storytelling World Honor awards, two Publishers Weekly starred reviews, and 2009 and 2011 Christy Awards for best suspense. His latest thriller, The Bishop, was named both Suspense Magazine's and The Christian Manifesto's 2010 Book of the Year. 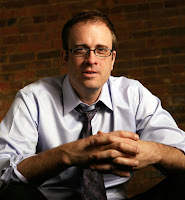 Steven earned a Master’s Degree in Storytelling from ETSU in 1997 and is an active member of International Thriller Writers, the Authors Guild, Mystery Writers of America, and International Association of Crime Writers. 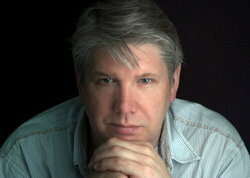 He is a contributing editor to Writer's Digest, and has taught writing and storytelling principles on three continents. What happens if a newly-discovered ancient document identifies another messiah. Is Jesus a victim of identity theft or is something else at work? What would people - both religious and political leaders - do to keep it's discovery and contents hidden? Those are just a few of the questions addressed in Glenn Meade's newest novel, The Second Messiah. 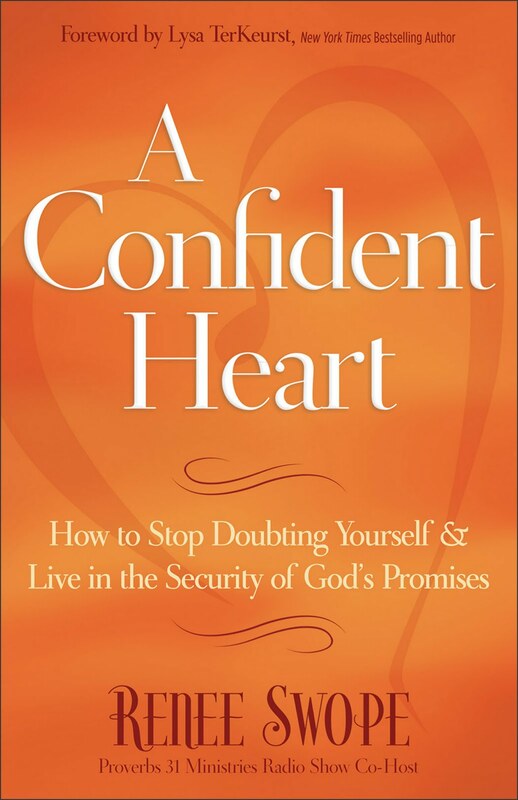 "Numerous references and warnings exist in scripture regarding false prophets and false messiahs," explained Meade. "Jesus himself made some of these warnings." In this novel, Meade's main character, archeologist Jack Cane, discovers a manuscript near the site of the Dead Sea Scrolls recovery. 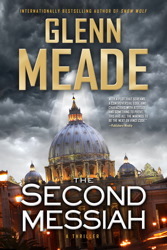 As the novel twists and turns, Meade travels throughout the Middle East, and ends up at the Vatican, all in the search of the truth. If you like historical Biblical fiction with a dose of political intrigue - with a dash of Indiana Jones tossed in, then Meade's book is right up your alley. I'd give it a strong three stars on a scale of one to five, with five being the highest. "Sometimes, stories find the writer and not the other way round. I think that happened with The Second Messiah," Meade continued. "Archeology and religion have always interested me -- I've written about both before, though in a minor way -- but I guess mulling over my own life kick-started combining both subjects in a novel." Glenn Meade was born in Finglas, Dublin in 1957. His novels to date have all been international bestsellers, translated into over twenty languages and have enjoyed both critical and commercial success. He worked in the field of pilot training for Aer Lingus for many years and as a journalist for the Irish Times. He now writes full time. Find out more about The Second Messiah from the publisher. Note: As a freelance journalist, I was provided a copy of this book by The DeMoss Group. This review was not influenced by a free book - just in case you (or the FTC) were worried about this detail. So Today's Adventures In Cooking (now known as AIC for short) called for making Deep Dish Pizza. Basically a creation made using a refrigerated pizza crust, hamburger, tomato sauce with Italian spices, and mozzarella cheese. In theory, this should have looked like a regular pizza in a 9x13 inch pan. Sometimes theories go out the window.... when the pizza crust came out of the can ripped - and wouldn't roll out, I was left with having to improvise quickly. So I poured the meat and sauce into the bottom of a pie pan, added a layer of mozzarella slices (not sure why they had me buy slices, instead of shredded cheese, and then "dropped" the dough on top like biscuits. Actually, mom reminded me of her "bubble pizza" (after this was finished) which consisted of those refrigerated tube biscuits, cut into fourths, and dropped into the bottom of a pan, and baked with the meat, sauce and cheese on top. So, subconsciously, I must have been channeling mom when I started trying to fix it. For the record, it doesn't look great, but it's pretty tasty. I'll probably keep the recipe, but change it up for those refrigerated biscuits and maybe toss in some more cheese (can't get enough of cheese) and if I feel really jazzy, add some pepperoni. A note from a friend - sliced provolone cheese would make this taste lie the former Pizza By Stout pizza (a Joplin landmark that didn't make it through the May 2011 tornado.... ahh... just one of their many secrets to amazing pizza!